$10 ADMISSION Includes 1 hour of Unlimited Arcade Games, Cocoa, & Cookies. The Holidays are here and it’s time to meet Santa and have some fun during the break! The Thanksgiving holiday is almost here and it’s time to have some fun during the break! Tuesday, November 6th is Election Day and school’s out for the kiddos so we are giving parents the opportunity to bring your child to our Full Day Camp where education and fun meets! Our Full Day Camp includes full day of activities & unlimited go kart , laser tag , spinning coaster & arcades. Lunch and snacks are also included. $25 deposit per camper required to secure your space. The fall season is here and it’s time to have some fun! Come see us Wednesday, October 31st a fun and safe outing to bring the family to enjoy the evening. 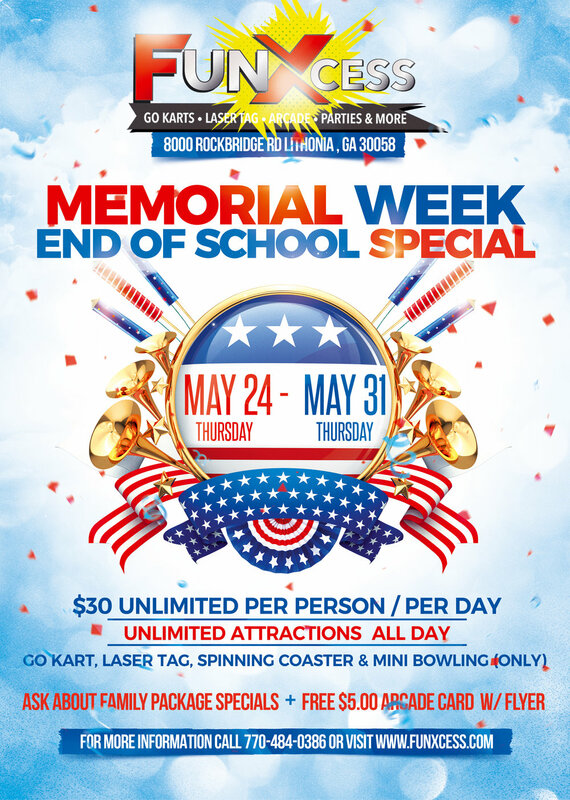 For ONLY $15 experience our 2 Hour Unlimited Special which give you access to experience Go Karts, Laser Tag, Spinning Coaster, and our Arcade games as many times as you can in a 2 hour period. Experience MORE The #FunXcess Way. Our Hand-Crafted Happy Hour features all-new menu items and a selection of popular hand-crafted cocktails and draft beers. Hand-Crafted Happy Hour starts daily at 4p.m. and end at 7 p.m. Come see us! Come have coffee with the candidates for office of Dekalb and Gwinnett counties! Dads, you and your daughters are invited to a special Father-Daughter Date Night. Enjoy an evening out with your girls. Don't miss out on the fun! A night full of surprises! 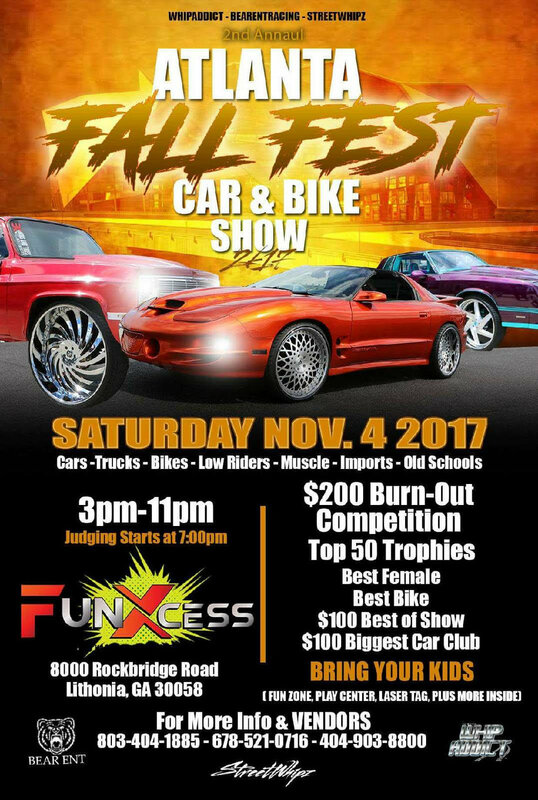 Atlanta Fall Fest is here November 4th, presenting the biggest Fall Fest Car and bike show period. All Vendors Contact @Whip_Addicts for your slots. Food Vendors are limited. Costume Party with TONS of FUN! 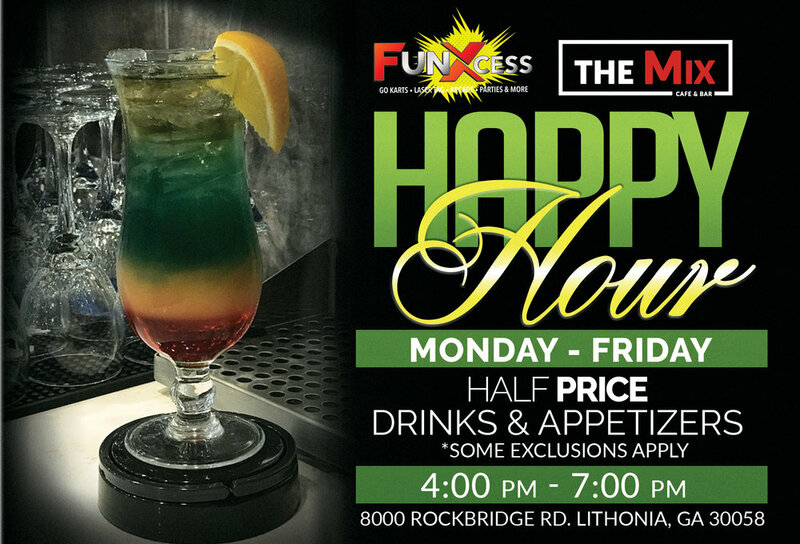 At FunXcess we will have a DJ, DANCING, COSTUME AND DANCE CONTESTS, LASER TAG, BUMPER CARS, PRIZES, food and all kinds of good times right at out fingertips! Enjoy the night and have fun, in a safe positive environment. This will be a really active fun time!! !